Within the NORBIT Group, the business unit Oceans is formed to inclusively focus the capabilities of NORBIT Subsea and NORBIT Aptomar extended with products and solutions for the market fields Aquaculture and Defence. OCEANS – Technology, products, solutions and services in the full “Ocean Space” domain. NORBIT Subsea specializes in ultra-compact wideband multibeam sonars for subsea and surface platforms. Systems to measure the underwater environment for hydrography, inspection and engineering surveys. 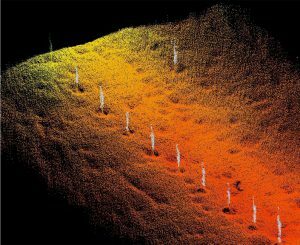 Processed multibeam data produces charts of the seabed, and 3D imaging of the water column. High resolution sonars with live, real-time imagery are designed to detect obstacles in front of vessels and underwater vehicles such as ROVs and AUVs. Multibeam survey solutions offer tightly coupled system integration, enabling high resolution survey data benefiting from an inertial system technology in a small form factor. NORBIT Subsea designs and develops wideband multibeam sonars for hydrographic applications, forward-looking applications, as well as advanced subsea solutions such as leakage detection. Our technologies are based on the latest in analog and digital signal processing, and our products provide wide coverage monitoring combined with high sensitivity and accuracy. NORBIT Aptomar is a leading provider of integrated monitoring for the marine sector. Integrated field monitoring includes oil spill detection, vessel collision avoidance and environmental observation of birds and mammals. Vessel Traffic Services (VTS) and environmental monitoring with high focus on oil spills from assets, as well as Search and Rescue operations. Vessel sensors based on electro-optics, light or radar, which are either fixed or aerial, for installation on vessels working in high risk operations or in sensitive areas. NORBIT Aptomar delivers complete systems and services: sensors, control systems and remote operations through professional mariners in the Aptomar Global Maritime Control Centre. Safeguard people, the environment and assets by engaging NORBIT Aptomar. NORBIT Aqua provides sensor solutions for fisheries and the aquaculture industry. High power 1200W submersible and dimmable multispectral LED-lights for fisheries and cage-based farming. Tunable light wavelengths are used for a variety of applications to attract schools of fish and influence biological processes, such as improved growth and reduced maturation. High power dimmable suspended lights suited for fisheries and land-based farming are used to attract schools of fish and control growth of both smolt and mature fish. NORTIT Aqua lamps integrates into a wide range of control systems for dimming schemes. Power cabinets for lamps provide safe and rugged power solutions for LED lamps. A variety of user safe power solutions can be provided, all within the parameters of low voltage, high IP ratings. Applications cover environmental surveillance of fish farms, bathymetric surveys of cage area, biomass estimation, water current measurements, net surveillance and feed control. NORBIT Aqua designs a range of products, each proven to deliver results and efficiency with innovative solutions and provide new market technological capabilities. NORBIT Defence provides high performance COTS solutions at a low cost. Ultra-compact, low-power systems that do not sacrifice performance. Suitable for deployment on a variety of platforms supporting security applications such as Waterside Security, MCM, Obstacle Avoidance, change detection, stationary monitoring and scanning, and diver navigation. Advanced processing of radar data for aided detection. Thermal and visible spectrum imaging for target identification. Low cost, highly integrated, fully motion-stabilized systems. Several COTS products are available as baseline systems for modification and enhancement using in house development teams. NORBIT Defence combines a selection of products from across the NORBIT Group, each having its own strong pedigree and capabilities within defence and security. 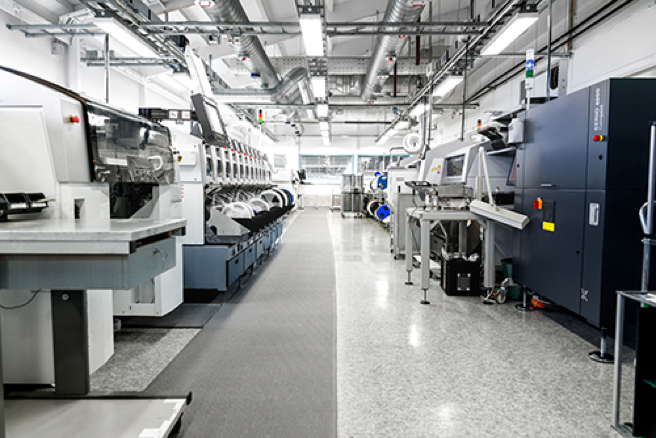 By leveraging our skills in data fusion and display, we can provide high performance, highly integrated sensor solutions for a fraction of the traditional cost.